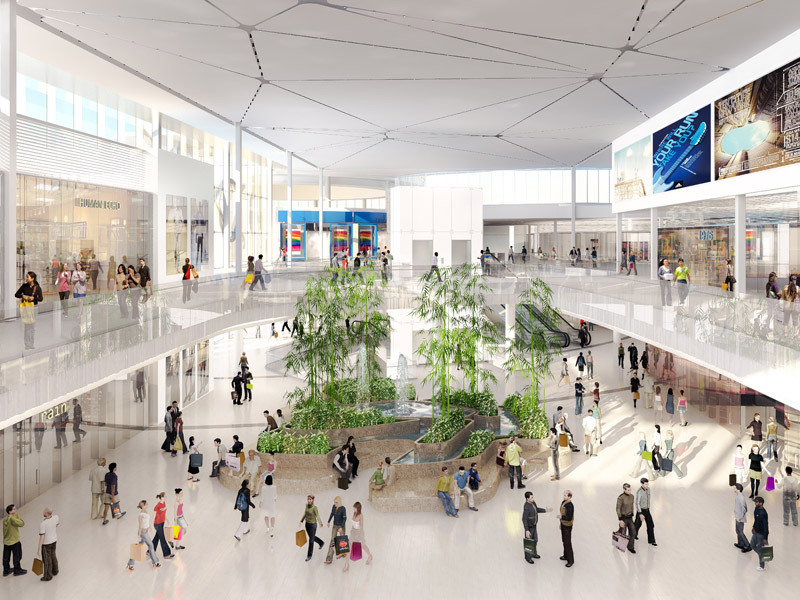 The Remington Centre is more than a shopping mall, it’s a destination; a mixed-use urban development built with both the local and global community in mind. 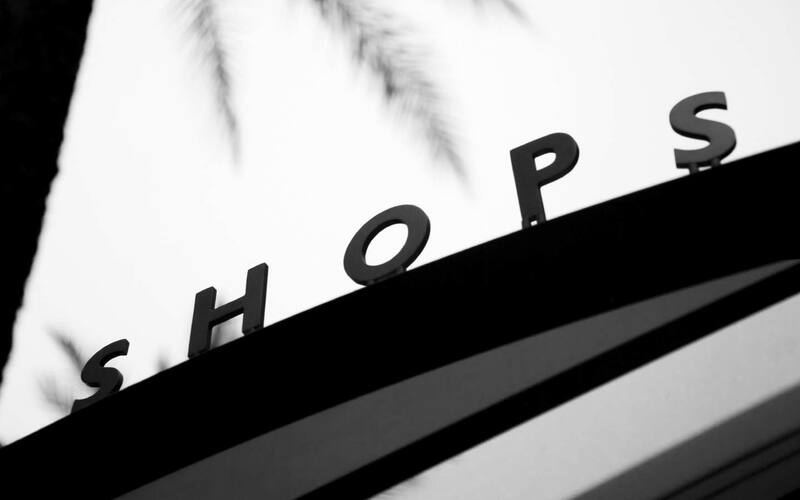 It’s where people shop, dine, play and live their way, in their style. It’s a place to explore and discover; a must-see on a tourist’s to-do list, and a community staple with cultural shows and exciting performances. 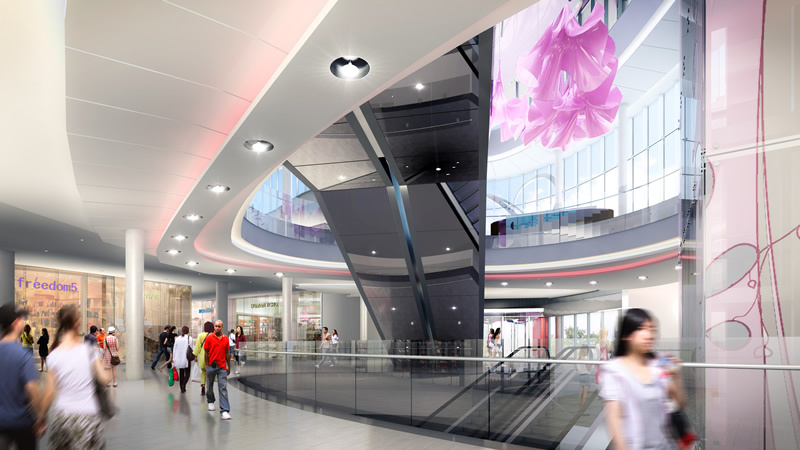 The Remington Centre represents a revolution in retail with countless entertainment and shopping options as well as luxury residences. 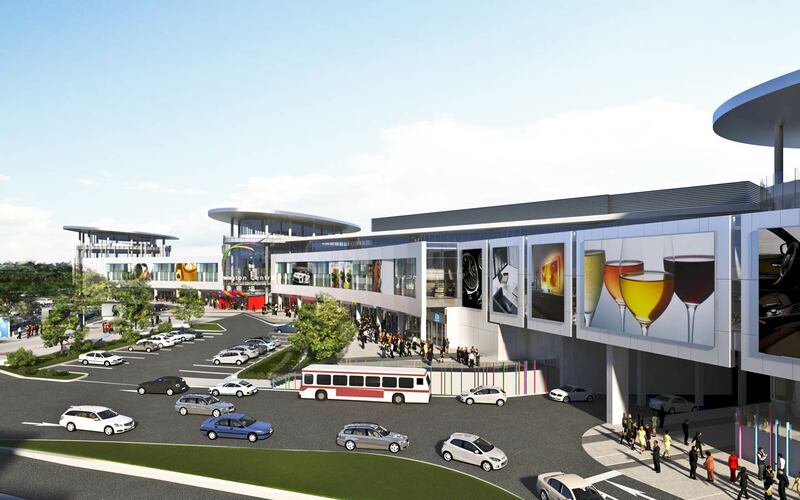 Lifestyle Hub: With over 800,000 sq. 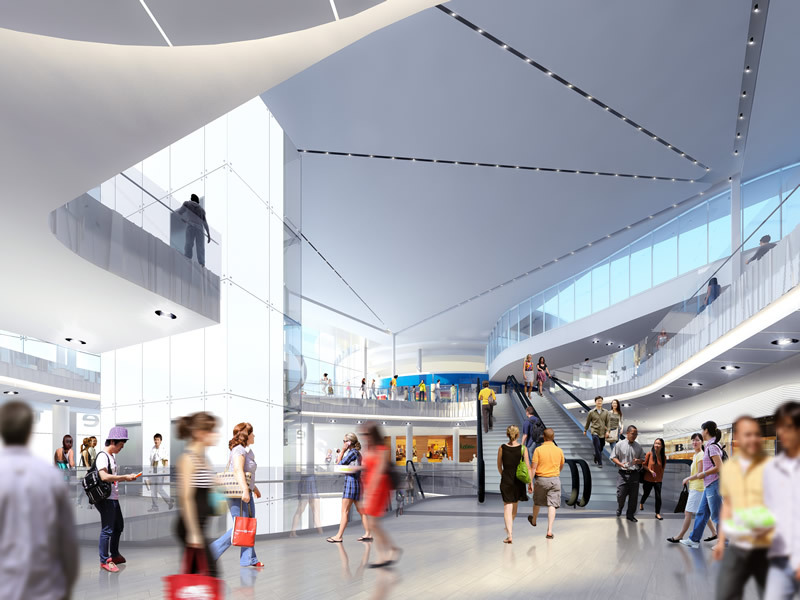 ft. of floor space and contemporary design, The Remington Centre is well positioned to be the epicenter of entertainment and culture in the community. 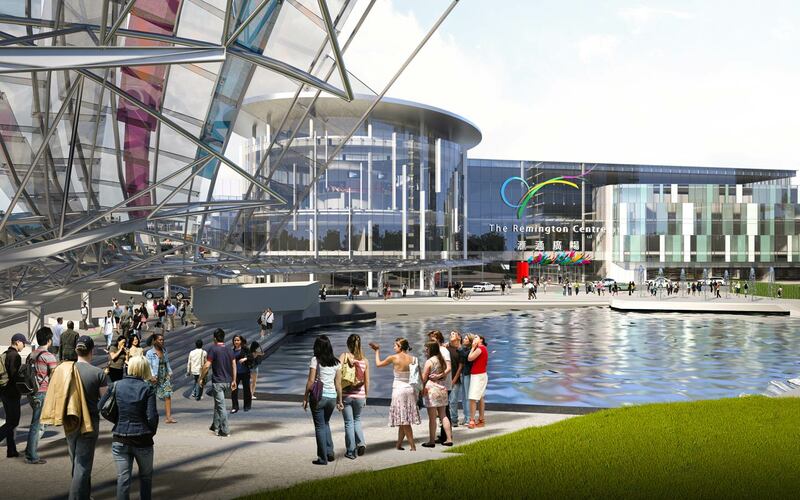 The large-scale 360-degree stage with multi-storey wraparound viewing capabilities is ideal for demonstrations, musical events, dance performances, and retailer exhibits. 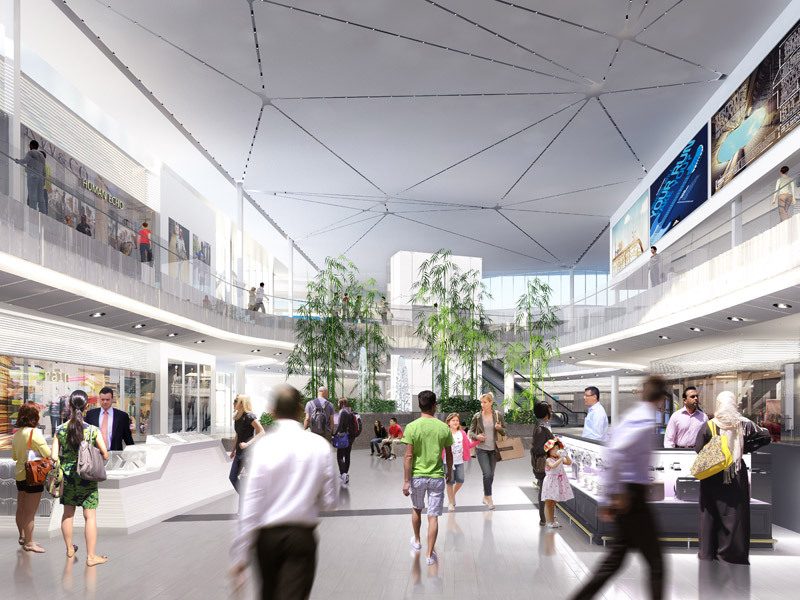 Dynamic Tenant Mix: Fusing mainstream tastes with one-of-a-kind finds from around the globe, The Remington Centre features a breadth of over 700 well known and bespoke retail options ranging from boutique to anchor stores. 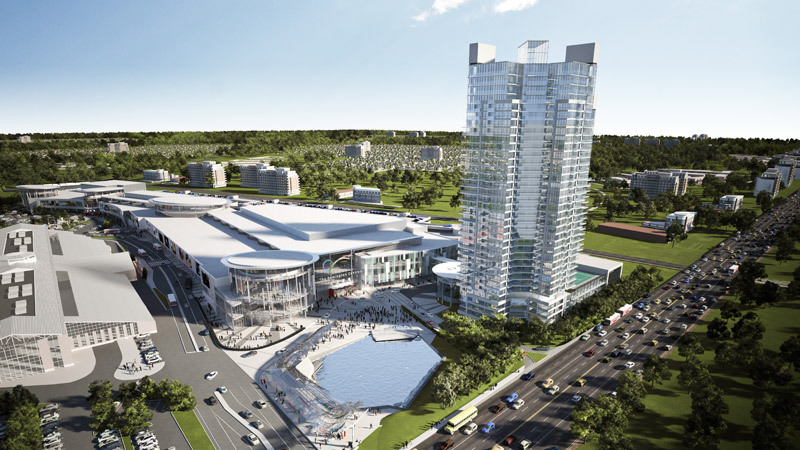 Green Architecture: Built in accordance with Markham’s Green Development Guidelines, The Remington Centre’s stunning contemporary design is LEED standard and features industry-leading innovations including one of Canada’s largest geothermal installation. 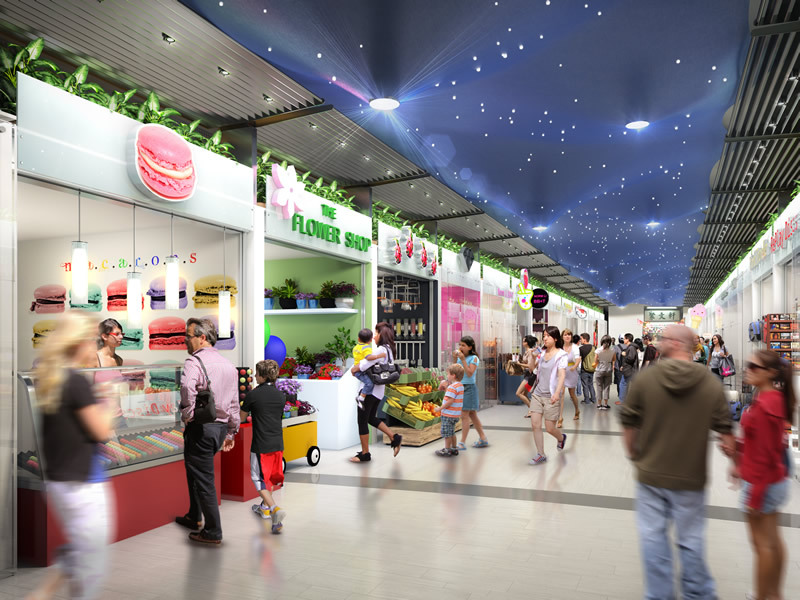 Night Market: Visitors to the Remington Centre can take advantage of the 100,000 square foot Indoor Night Market, open until 3am. 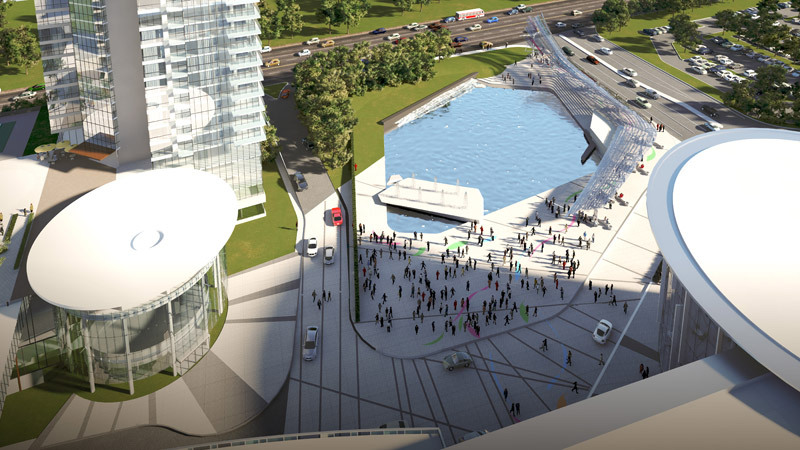 Condominium:The Remington Centre complex also features The Grand Residences, a stunning addition to the 800,000 sq. 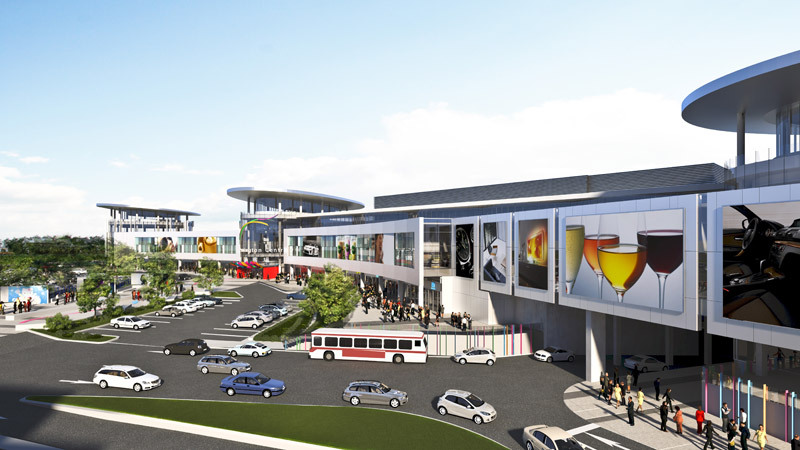 ft. retail complex. Dual towers will punctuate the skyline with chic and sophisticated architectural style. 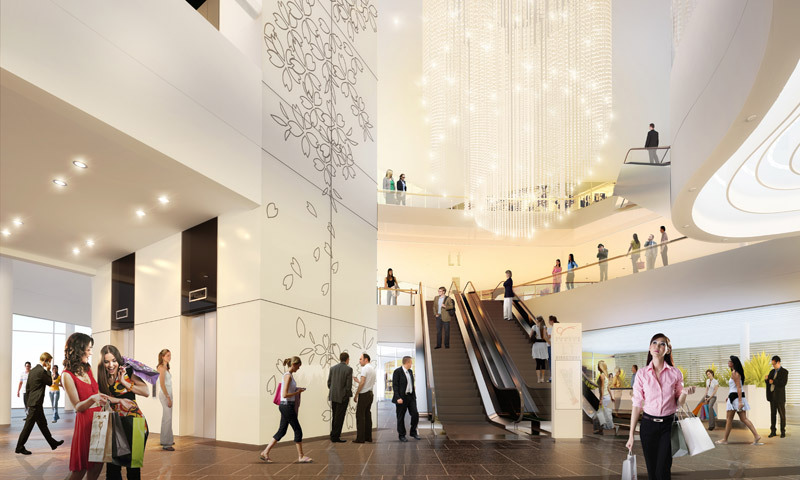 Located just north of Toronto in the heart of Markham, The Remington Centre is ideally situated to be a shopping destination both locally and for shoppers across the entire Greater Toronto Area (GTA), including the many tourists that visit the Toronto area. 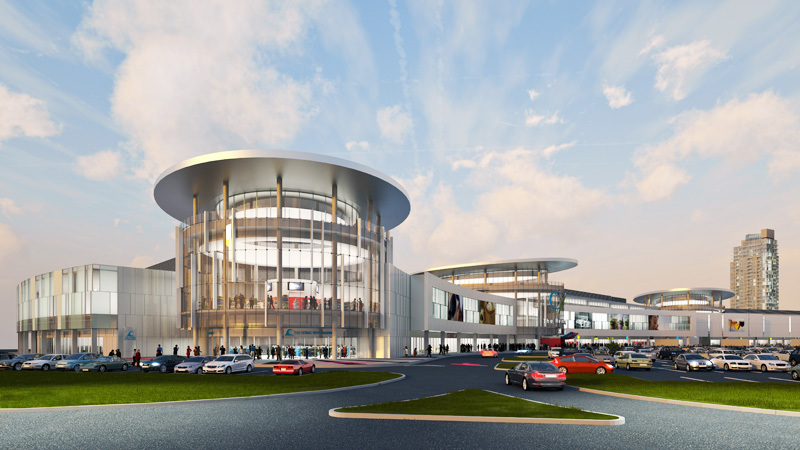 Conveniently located at Steeles Avenue and Kennedy Road, The Remington Centre is easily accessible by car or public transportation, and benefits from on-site Go Transit and York Region Transit Terminals as well as an expanded roadway system and the VIVA transport extension. Parking More than 3,500 covered and outdoor parking spaces as well as tour bus drop-off bays make driving to The Remington Centre easy and accessible for shoppers from around the corner or across the globe. 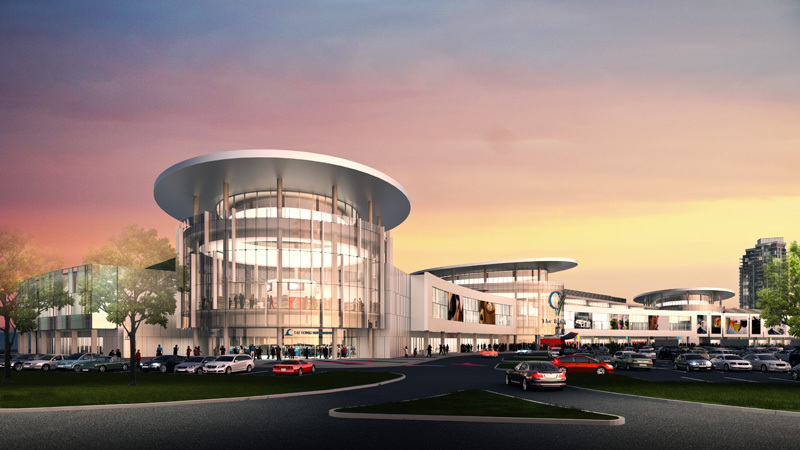 Building a Green Future Designed and built in accordance with Markham’s Green Development Guidelines, The Remington Centre is the new standard in contemporary shopping centre design. 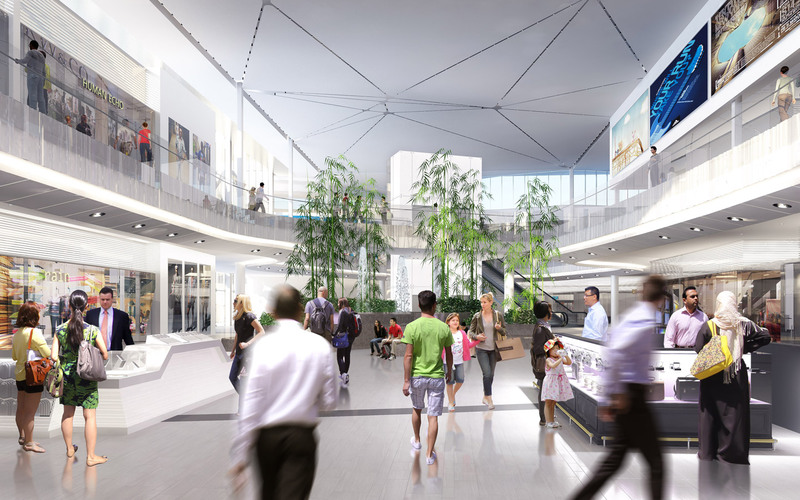 The project works in harmony with the site’s surroundings to utilize the maximum amount of natural light, geothermal heating and cooling, and roof extensions that help shade the building, reducing air conditioning needs as well as the centre’s overall carbon footprint. 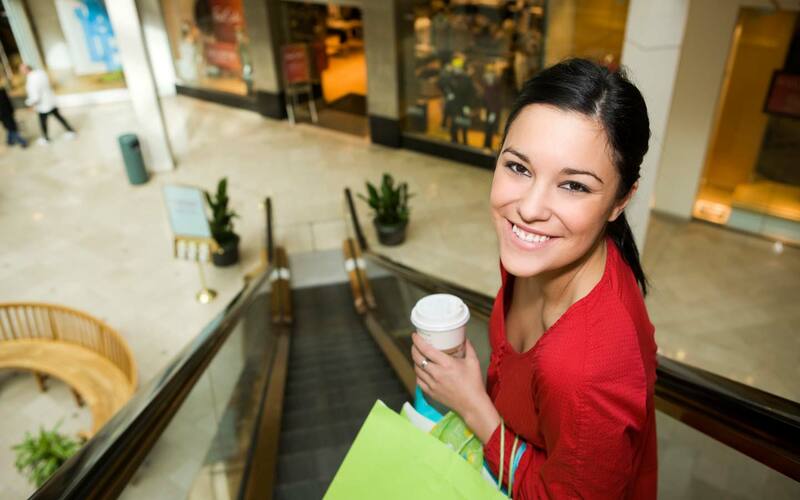 The Remington Centre is of the greenest shopping destinations in the country. 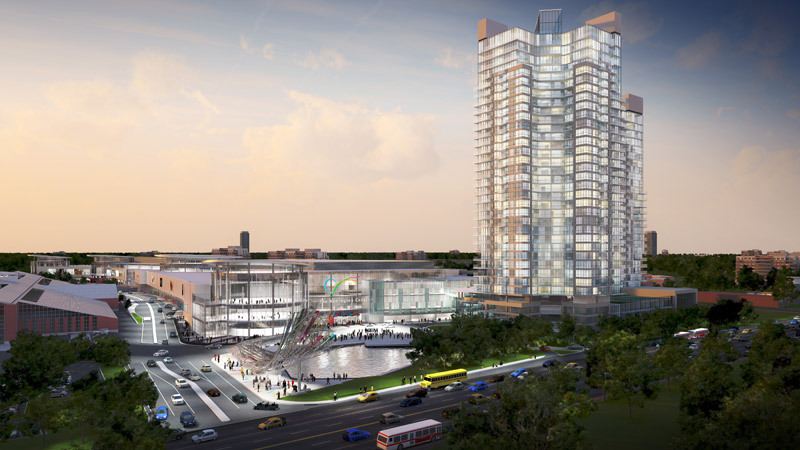 Market Overview: Greater Toronto Area (GTA) Situated in one of the country’s fastest growing communities, The Remington Centre is poised to attract millions of visitors drawn to the centre’s premium lifestyle brands, entertainment and cultural events as well as dynamic amenities. It will become a landmark in the entire region. 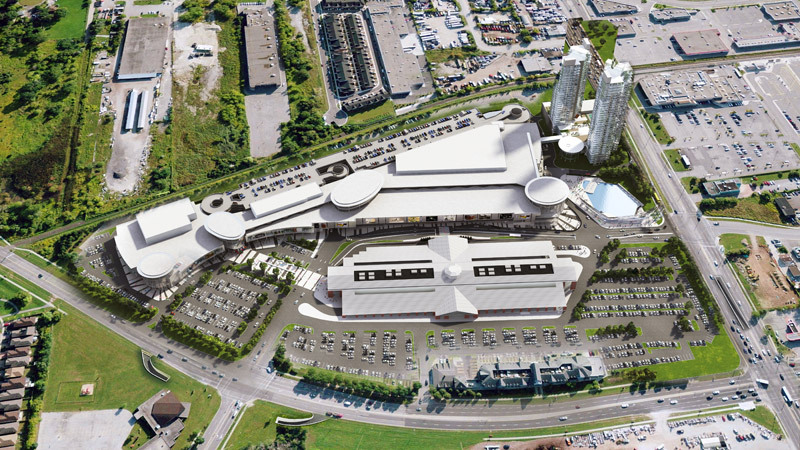 The Remington Centre is located in the northern portion of the GTA, home to more than 5.5 million residents and is projected to grow more than 44% to 9.2 million people over the next 25 years. The GTA is the fourth largest metropolitan area in North America and the third largest financial services centre behind Chicago and New York. 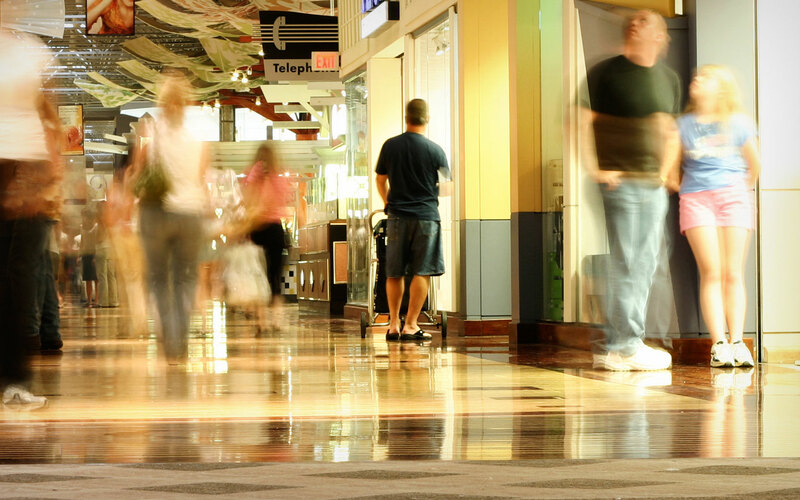 There are more than 13 million people within a 2-hour drive of The Remington Centre, making this an accessible destination for a large and influential shopping community. 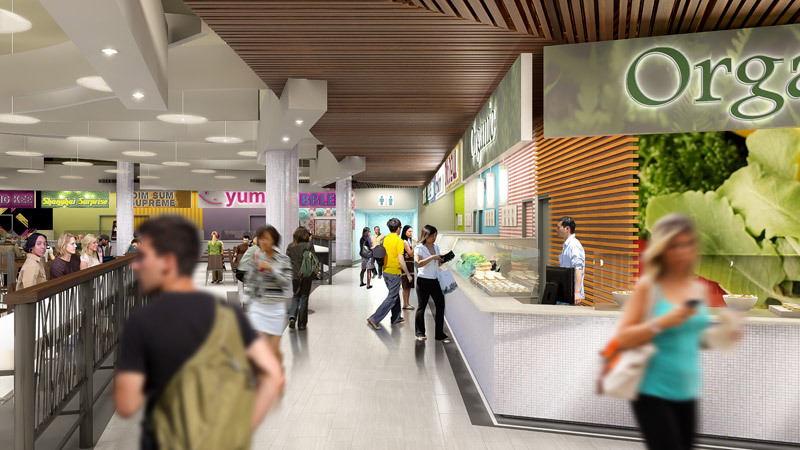 Award-winning Kohn Partnership Architects have spearheaded the design direction of this project. 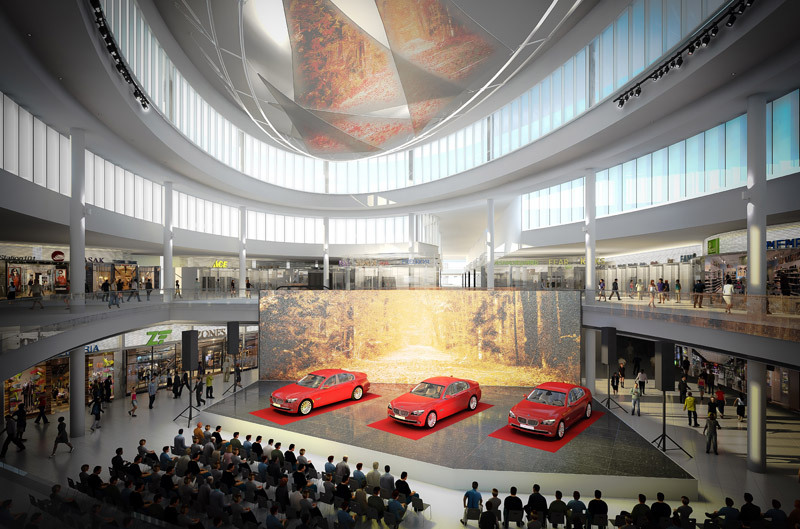 The design vision behind The Remington Centre has been to create an entirely new kind of shopping experience. 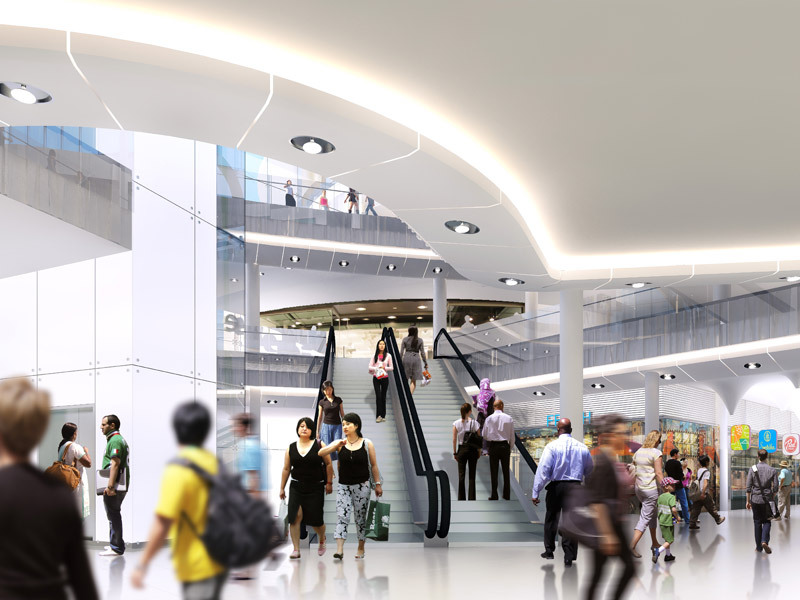 As customers walk the bright, refreshing hallways spread over two expansive floors, they will enjoy high ceilings, ample natural light and contemporary features. 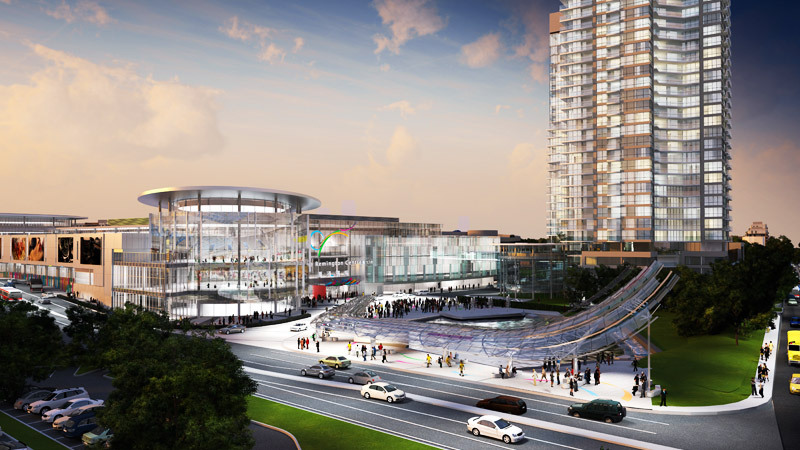 The Remington Centre features a 6-acre tree-lined public plaza complete with a spectacular water fountain that converts into an ice rink for shoppers and local residents to enjoy ice-skating during the winter months. 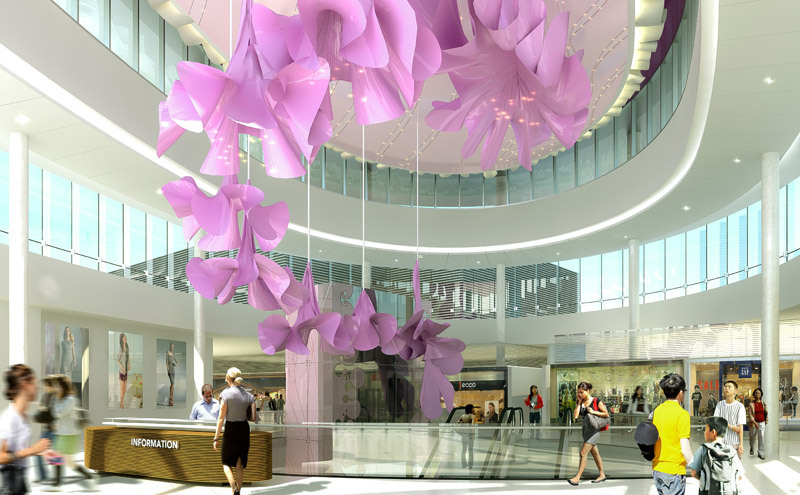 The interior of The Remington Centre is designed by the award-winning Lightspark Group. Blending luxurious textures and vibrant graphics with simple, clean lines has resulted in a design with local appeal and global reach. 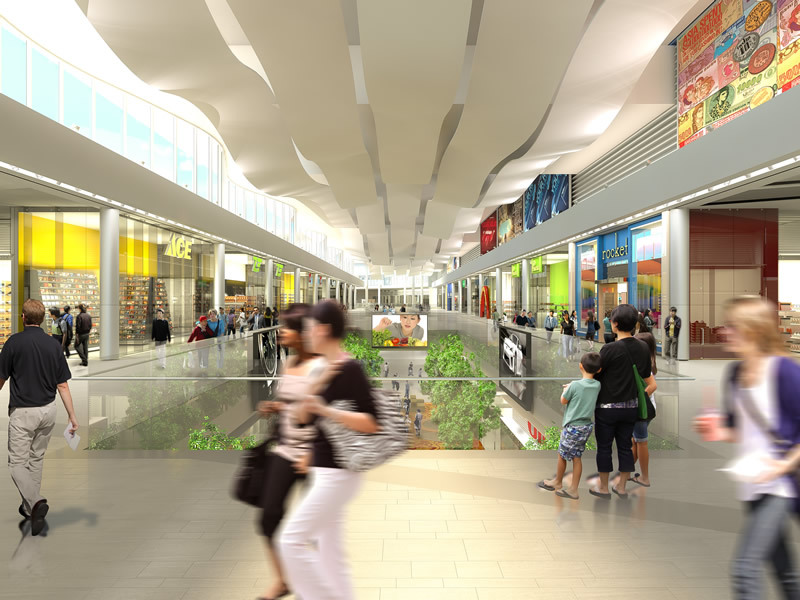 The interior of The Remington Centre is divided into the following themed areas, each providing a distinctive ambience and shopping experience. Blending the natural serenity of an outdoor bamboo field with the comfort of a modern indoor shopping space, the Bamboo Court provides unparalleled relaxation for guests. 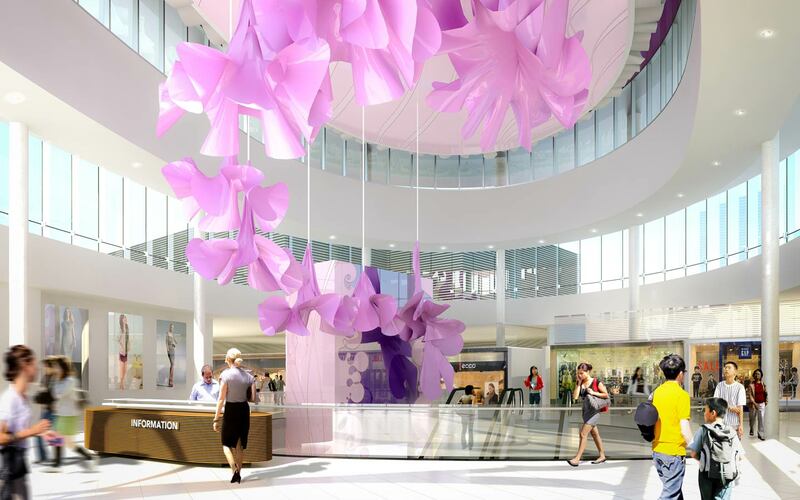 The beauty of the orchid is exemplified in this open and bright section of the centre, creating a sense of luxury and refinement. The Silk Corridor contrasts soft and hard textures and adds fluidity and spacious elegance to the centre. 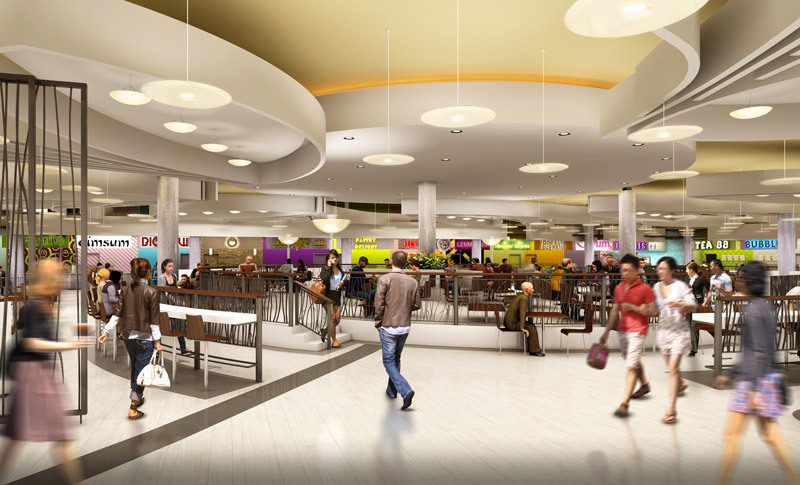 Spacious, comfortable, contemporary design with a touch of nature, The Remington Centre’s food court is the perfect place to experience international cuisine. 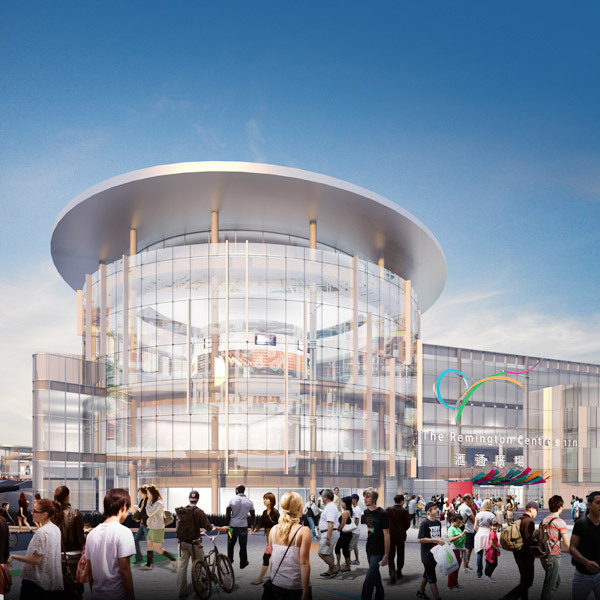 The Remington Centre features a contemporary 360° stage in the heart of the plaza which will accommodate more than 1,000 guests for cultural performances and community events. The Greater Toronto Area is a priority hub for visitors coming to Canada, whether for the duration of their stay, or as a gateway to other parts of Canada. With 10 million overnight visitors and over $4 Billion dollars spent annually, the majority of visitors to Canada come from the US, the UK, Germany, France, and China. 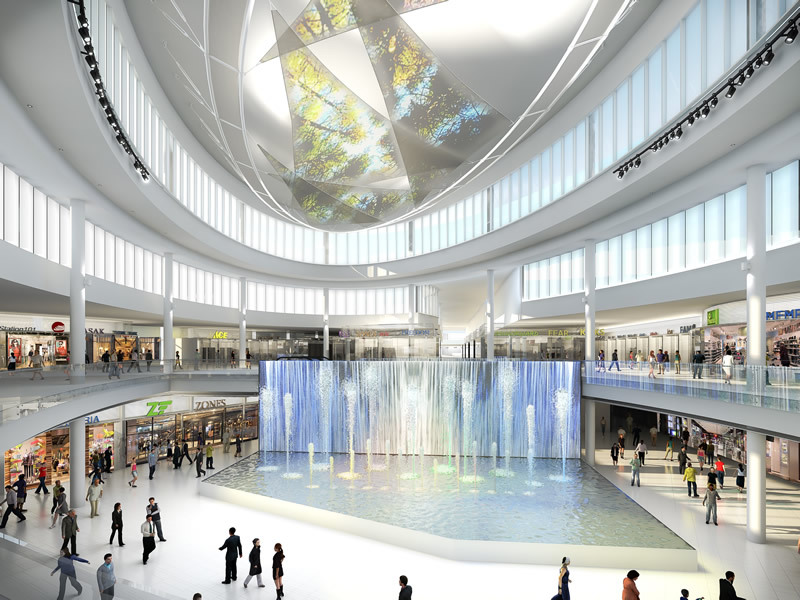 China has granted Canada Approved Destination Status (ADS), putting Toronto and The Remington Centre on the world’s retail map as a must-visit destination for Asian tourists. 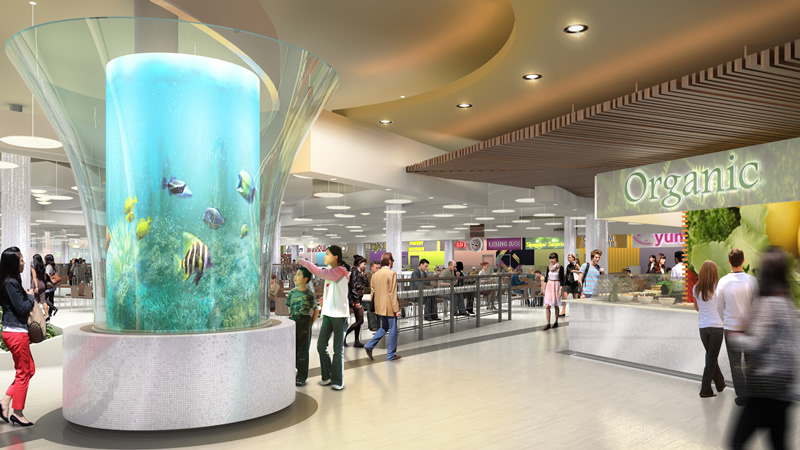 As a Designated Tourist Area, The Remington Centre will open 365 days a year and enjoy extended hours. Tour Buses will have ample parking available in the large bus bays—complete with rest area for drivers, a first in this market—making this an ideal destination for tour groups. 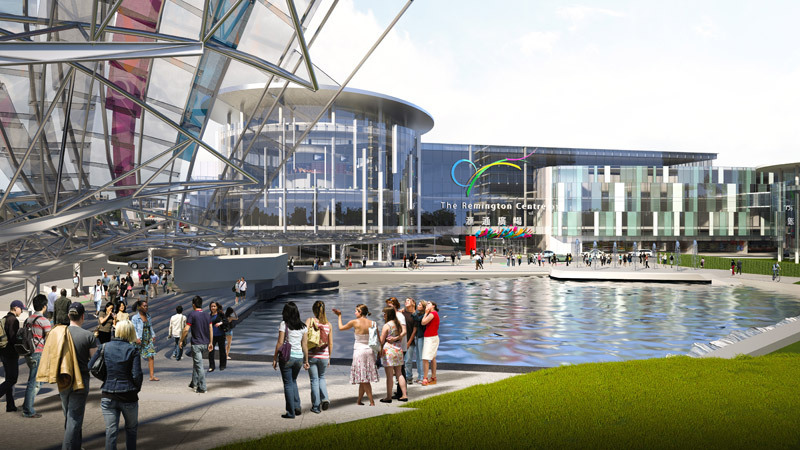 The Remington Centre is a development of The Remington Group. 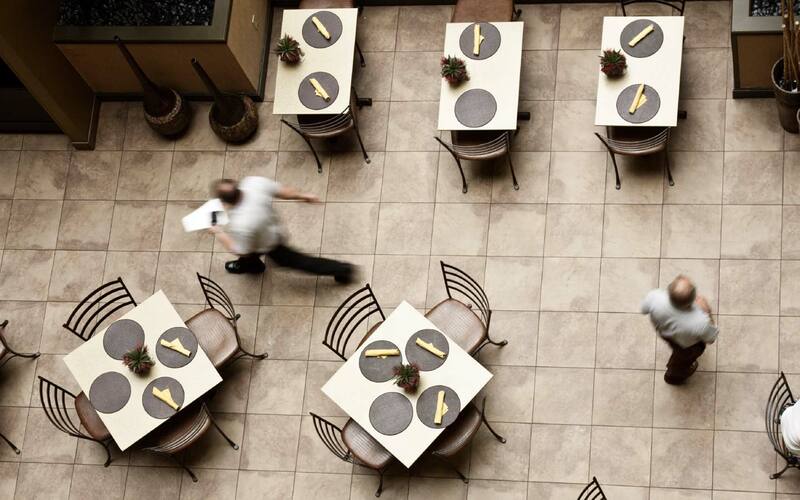 The Remington Group has spent more than 60 years developing, building and managing residential, commercial, retail and industrial properties across Ontario. As one of the province’s largest and most respected real estate developers, The Remington Group’s top priority is ensuring they are and always will be a valued and fully investment member of all the communities where they work. Among owners, tenants, community associations, and business partners and through all levels of government, The Remington Group has earned a reputation as an honest, quality-focused, dedicated development company. For more information, visit www.remingtongroupinc.com.